Being a pet owner comes with a lot of benefits. Not only do pets offer love and companionship, but they can also improve your family’s health, reduce your stress level, teach your children responsibility and help you stay in shape. Unfortunately, however, these benefits do come at a cost–pet ownership can be very expensive if you don’t take steps to keep it affordable. Here are six ways to do just that. The cost of purchasing and caring for a pet can vary widely, depending on what type you get and where you get it. If you have a tight budget, you may want to consider purchasing a smaller, less expensive pet, such as a hamster, bearded dragon or fish. These pets provide several benefits without all of the expense. Alternately, you may consider purchasing your next pet from the humane shelter, from a friend or from a newspaper or Craigslist ad. Find a good pet that needs a new home and you can save significantly over simply stopping by the pet store over the weekend. When trying to figure out what type of pet you can afford, don’t just consider the purchase price. You’ll also need to factor in the costs of pet supplies and routine care. 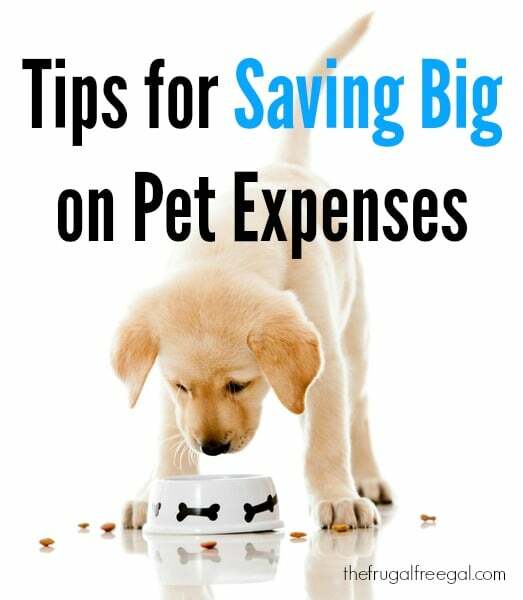 Consider one-time expenses such as spaying/neutering, training, microchip implantation and trips to the vet as well as recurring expenses such as food, toys, leashes and other essentials. Will you need to fence in your yard, build a shaded outdoor area or pay for trips to a kennel while you’re out of town? Are you likely to need to replace or repair furniture, shoes or other belongings while your new pet is adjusting to your home? Is your pet likely to need any special medications as he or she ages? Be sure to factor in those costs as well. Very rarely is the price you see the price you have to pay for pet supplies. Shop around and you may just be surprised by how much you can save. You don’t have to buy all of your pet supplies at the pet store. You can often find a bargain by shopping at a supercenter, dollar store or online retailer. Look for pet supplies on Amazon or check out various online pet supply subscription companies as well. Of course, the fewer items you have to buy, the less money you will need to spend. Instead of purchasing several items specifically for your pet, try to make do with items you already have on hand. For example, you likely already have bowls that will work for food and water, and you may have a baby gate you can use instead of purchasing a special puppy gate . For those pet supplies you do have to buy, be sure you get a good deal. Many stores regularly offer sales, rebates, coupons and other promotions. Ask for free samples and inquire about free shipping, membership discounts and bulk purchase discounts. Even small savings can really add up over time. Visiting the vet may be expensive at first, but keeping regular check-ups can save you significantly over your pet’s lifetime. Not to mention the fact that routine check-ups will keep your pet healthier and happier as well. Don’t wait until your pet has had an injury or is in severe pain to bring them to the vet. Schedule and keep routine check-ups instead. Just because your pet is worth every penny you spend on him or her doesn’t mean that you should have to spend every penny you have to keep your pet happy, healthy and safe. Use these six money-saving tips and tricks to keep your pet costs low and your time with your pet enjoyable. What type of pet do you own? How do you keep it affordable?